16% of first time students at University of North Carolina-Charlotte are under prepared for college-level mathematics. No developmental courses were offered prior to 2000, resulting in a DFW rate of 33% in College Algebra alone. UNC-C took several steps to address this issue, initially by offering their first Intermediate Algebra course in the Summer of 2000. This resulted in noticeable changes in the success rate of the follow-up course, College Algebra. The second step, in Fall 2006, was to implement software. However, instructors quickly noticed a pattern. Students were scoring a 100% on the homework in the software, but lacked the fundamental understanding to perform well on exams. In the Summer of 2010, UNC-C implemented Hawkes Learning. 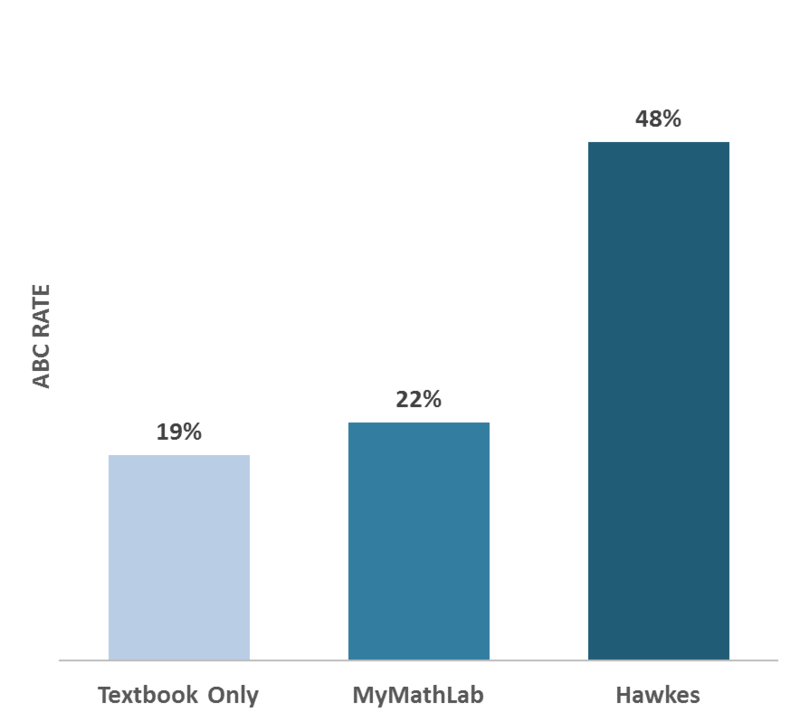 The mastery-based homework assignments and error-specific feedback helped to accomplish the goal of improving student results and made Intermediate Algebra an effective gateway course.